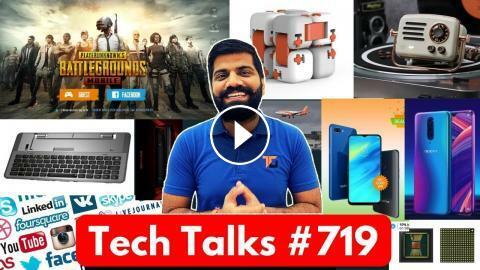 Namaskaar Dosto, Tech Talks ke is Episode mein maine aapse kuch interesting Tech News Share ki hai jaise Redmi Note 7 India Tests. DXO Mark Selfie Scores, Samsung Smallest Image Sensor, Oppo R17 Pro Offer, Realme U1 Updates, PUBG Mobile Prime and Prime Plus Plans, Android Q Updates, Fake GPS Apps on Google Play aur bahut kuch. Mujhe umeed hai ki yeh video aapko pasand aayega.